This is the second book I’ve read by Tarryn Fisher (if I don’t include Never Never) and it was quite the thought provoking read! 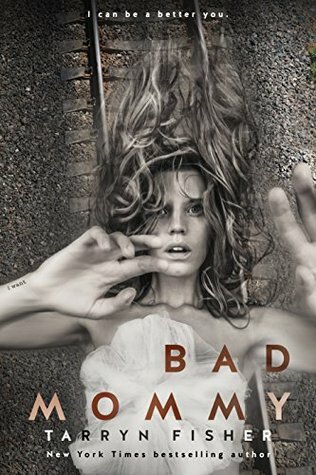 Bad Mommy is the story of Fig, a woman who believes that the soul of her miscarried child is in the body of the daughter of Jolene. Fig begins to fixate on Jolene and her family, even moving next door. At first it’s the daughter she wants, but as time goes by Fig turns her attention to Jolene’s husband Darius as well. I think this was a very compelling read, one of those books where I read it straight through and was sneaking it in real life situations where you aren’t supposed to read. A part of me was wondering if there were people out there in the world that were really this fucked up, but I also believed it. All three main characters were an enigma, and it was hard to pin them down because their perspective and what they thought of each other were obviously unreliable sources. Anyways, I really did like this book. Is it my normal go to kind of read? No. But I am still glad I read it. I know Fisher’s style is unique, and I went in not expecting rainbows and happiness. But at the end of the day I want finality with the books I read, I want closure. I want my questions to be answered instead of left open. And ultimately I didn’t get that from this book. But you know what? That’s on me. I’m sure there are so many people who will love this book and if you are curious about it, give it a shot! You may love it.